According to the Bureau of Labor statistics, in 2012 there were approximately 4,628 fatal occupational injuries. Despite our best efforts to keep workers safe, sometimes injuries happen. Your company should have an injury management program to deal with injuries in the most effective way possible. There are two phases that need to be dealt with when an injury occurs: 1) dealing with the immediate results of the injury and getting treatment, and 2) getting the injured employee back to work safely. When an injury happens, the first priority is getting the employee treated. The correct treatment at the correct time is critical for the employee(s)’ health as well as your companies credibility. It is also important to avoid over treatment or under treatment, as this can possibly create a different problem simply because a physician gave a prescription that was unnecessary. The person in charge must first determine if the injuring is a life-threatening emergency, if so the emergency medical services (EMS) must be notified immediately. However, for non-life-threating injuries, you should research a reputable occupational medical provider. 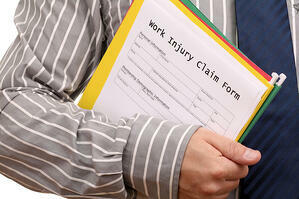 How Do You Get Your Employees Back To Work After An Injury? After an employee is off work, it is difficult to break the cycle, the longer they are away; the more difficult it is to get these employees back to work. From the employee standpoint, after three months they may not even be sure if they have their job, after 6 months it is unlikely they will return. As the employee may be depressed, frustrated throughout the process, there are a few strategies to halt these possible loss of work days. Inform any and all new employee that it is the company’s goal that employees have a quick return to work from occupational injuries. Have the treating clinic be educated before an injury occurs and the company’s willingness to make accommodations. Be sure the treating physician(s) know of the option of returning to work. It helps if the medical provider is familiar with OSHA record-ability. Ensure the managers who are responsible for the injured employee is trained in the first steps when an injury occurs. Accommodate any restrictions if the employees is given any. Designate someone from the work site to call the injured employee from their home if they are off work. Treating people with dignity and respect is an important part of the recovery process. Providing the injured person with the compassion, taking their word in regard to their pain and injury at face value may prevent much legal discourse. If the injured employee feels they have not been taken seriously, they may search for legal representation for assistance. Even if there is circumstance that the employee may be lying, compassion must be shown during the investigation. If the investigation proves any discrepancies, communication must be through the insurance adjuster, not the employee.